Want to learn to improvise like a pro? Want to be a part of a supportive community of performers diving in to "Yes and"? Endgames Improv is a growing improv theater company in San Francisco currently looking for students interested in becoming work study volunteers in exchange for free tuition for our level one or sketch writing class. Level one is a perfect class for beginners and experienced improvisers to develop skills for group mind and honing skills on actively listening and responding and organically building characters. The EndGames Improv Sketch Writing Workshop is the perfect place to get an introduction to sketch writing, and a great place for those who already know something about the form to practice their skills. This course will not only help you flesh out and punch up your sketch ideas, but also push you to learn different styles. In seven weeks, we'll cover political sketches, blackouts, commercial parody, and techniques for writing for shows such as Saturday Night Live. By the final class, you will have a solid beginning for a professional comedy writing portfolio. Our work study volunteers work the door at our Thursday and Friday night shows, (which are usually in the Mission or Union Square/TL area), as well as helping with graduation shows and other special shows. Work-study volunteers may also be asked to help Producers backstage, in the sound/lights booth, or with special tasks during the shows. They gain front-of-house experience with a growing improv theater company, have the opportunity to closely interact with our producers, and are a very, very, very important part of our program. Most shifts run from either 7-9:30PM or 9:30PM-Midnight, although there may be an occasional change in those hours. Sessions run seven weeks. 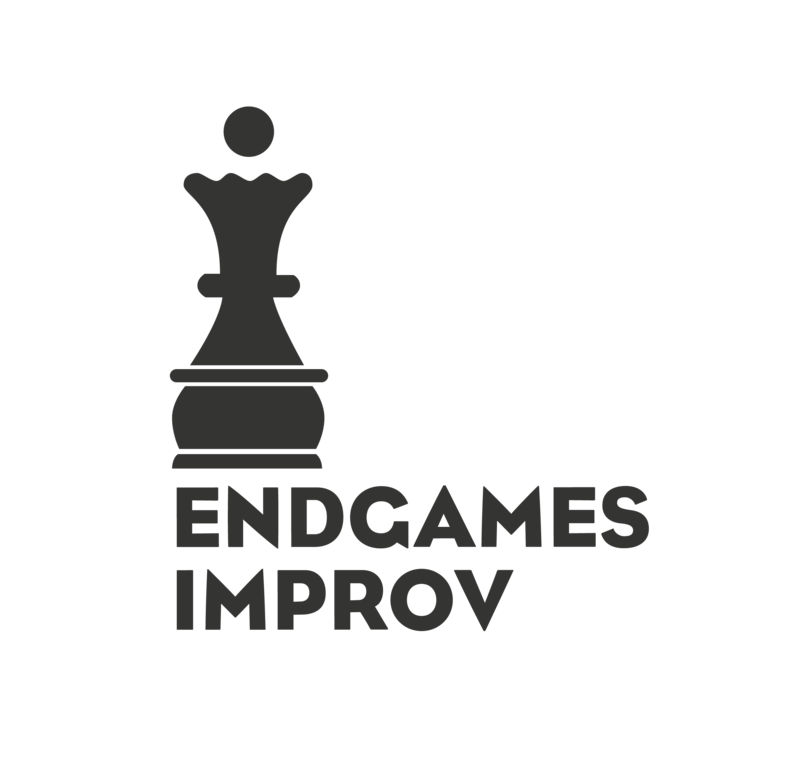 Anyone who is interested in becoming EndGames Improv work study volunteer for this upcoming session needs to submit a letter of interest to volunteer@endgamesimprov.com by this Sunday, June 15th at midnight. The letter doesn't need to be super formal, but, it should include any special skills and/or experience you can bring to the table, as well as telling us about your interest in improv. You should also include the class you plan to take. Selection will be based on the letters. If you have any more questions, please send them our way! We look forward to hearing from you. I just graduated from my level 1 class at Endgames and I cannot wait for level 2 to start, which pretty much goes to say that I LOVED my first class. Over the seven weeks we went from a bunch of nerve-raddled people who felt weird playing warm up games to a bunch of nerve-rattled people fully prepared to put on a 30 minute show. I had mixed feelings about taking improv because I was anxious and didn't think I could learn ways to be comedic on stage, but I am so happy I decided to take the plunge and enroll. If you're on the fence and reading this, I hope this pushes you closer to taking a class because I'm certain you'll have a very positive experience both in the class and at the Endgames performances on Thursdays and Fridays. Ummm...wow. I just graduated and performed with my amazing classmates from Improv I this past Sunday and what an inspiring experience!